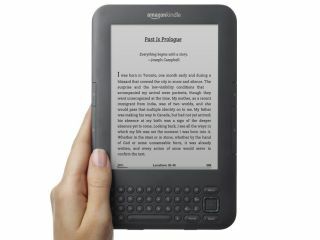 Amazon has announced that users of its Kindle devices and smartphone apps will be able to 'borrow' ebooks from their local libraries. Library Lending is a US-based offering which will let users check-out digital titles from 11,000 libraries across America, free of charge. While this is a very cool way to incorporate libraries into the ebook revolution, cooler still is the fact that any annotations you make will be retained if you borrow the book again or buy it from the Kindle store. Amazon Kindle Director Jay Marine says: "We're doing a little something extra here," Marine continued. "Normally, making margin notes in library books is a big no-no. "But we're extending our Whispersync technologyso that you can highlight and add margin notes to Kindle books you check out from your local library. "Your notes will not show up when the next patron checks out the book. But if you check out the book again, or subsequently buy it, your notes will be there just as you left them, perfectly Whispersynced." The service, which will launch later this year, will be powered by OverDrive, who arranged a similar deal for Sony's fading Reader devices. Library Lending will work across the entire range of Kindle apps, including iPhone, Android, BlackBerry, Nokia, Windows Phone 7 as well as Macs and PCs. While we applaud Amazon for this move, how about giving a little bit of love to the UK? We had to wait forever for the Kindle to begin with, just like the MP3 store. We still don't have the Amazon Android Appstore and there doesn't appear to be any obvious plans to extend the library link-up beyond the US either.